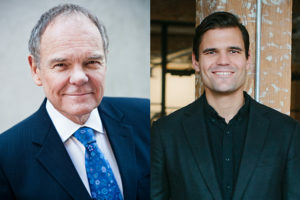 Don Tapscott is the CEO of the Tapscott Group and one of the most influential living theorists about business and society. In November 2013, Thinkers50 named Don as the fourth most important business thinker in the world. A June 2013 Forbes.com analysis of social media identified Don as the most influential management thinker in the world. He is the author or co-author of 15 widely read books about new technologies and new media in business and society, including Wikinomics and The Digital Economy. 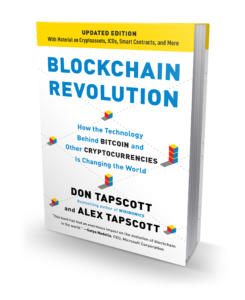 Alex Tapscott is the CEO and founder of Northwest Passage Ventures, an advisory firm building blockchain companies. In 2014 he wrote the seminal report on governing digital curren­cies for the Global Solutions Network program at the Joseph L. Rotman School of Management at the University of Toronto. Prior to founding Northwest Passage Ventures, he worked for seven years in investment banking in New York and Toronto.